Nissan has unveiled the car it will race in this year's V8 Supercar series. Nissan Australia chief executive Bill Peffer told media at the launch of the team's 2012 season that the brand planned to use the sport as a marketing springboard for its new mid-size Nissan Altima sedan. “Australian new car buyers will have an entire year to get to know the Altima name and shape before it goes on sale later this year,” Peffer said. Nissan will make its official return to Australian racetracks this weekend for the V8 Supercars pre-season test day at Eastern Creek. The manufacturer has prepared four Altima sedans which will take on the Ford Falcon, Holden Commodore and Mercedes-Benz E-Class in the newly expanded V8 Supercars championship. Nissan was controversially forced out of Australia’s premier racing category in 1992 after its turbocharged Skyline GT-R was banned from competition and the V8 Supercar rules introduced. 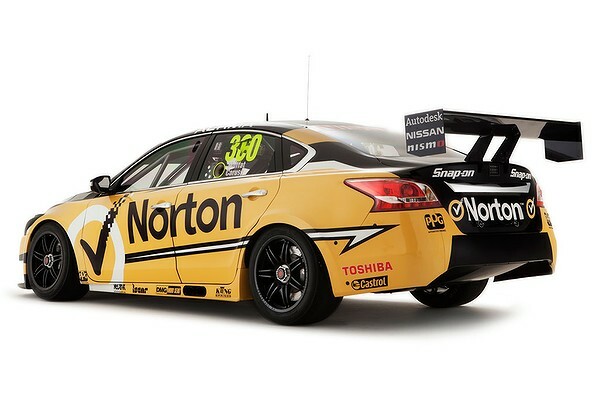 New rules in the Australian race series have allowed Nissan to campaign a V8-powered version of its upcoming sedan. Jeff Fisher, general manager of motorsport for Nissan Australia, said the brand was ready to race. “When we turn the first wheel at the Clipsal 500 in Adelaide in a few weeks’ time, the eyes of the Nissan world will be upon us. Everyone is fascinated,” he said. 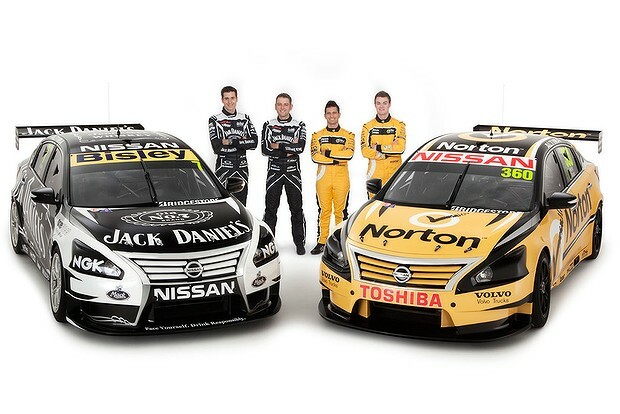 Former Bathurst winners Todd and Rick Kelly will campaign for Nissan in Jack Daniels colours, while new recruits Michael Caruso and James Moffat (son of racing legend Allan) will be sponsored by Norton Security. Nissan Motorsport racing director Todd Kelly is confident the team will succeed. “I’m so immensely proud of each and every person at Nissan Motorsport,” Kelly said. AU FAIRMONT GHIA: 5.0 Dealer ordered SVO mods ( seeking clarification ATM), tickford suspension. while there still far from being close to our road cars, the new manufacturers will give me incentive to start watching the supercars again..
Should be an interesting season.